Don't miss out on a game with your favorite Game Master ever again. 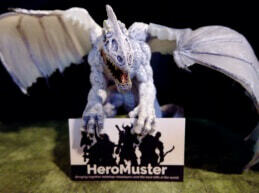 HeroMuster helps bring together roleplayers and the best GMs in the world. Analogous to LinkedIn, but for GMs & players and with additional roleplaying specific features, HeroMuster helps turn acquaintances into friends and moments into memories. A built-in feedback system allows both GMs and players to answer simplified questions that still provide actionable feedback to help everyone be better roleplayers. HeroMuster helps me run better games. 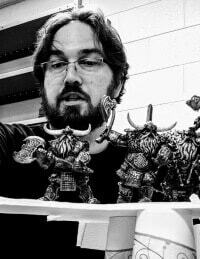 Running one-offs at big conventions for people you may never see again is a real challenge, and Heromuster lets me get direct feedback from players so I can hone my skills and become a better game master. Connecting with others is what roleplayers do. HeroMuster's search matches you with players of similar play preferences, familiar RPGs, and proximity to you. It's hard to find the right people. I like my games with crunch, you know? Not everyone likes that taste. Become a hero today; you never know where your next great roleplaying memory will come from.